In 2018, the total natural gas production in Uzbekistan is expected to be about 61 billion cubic metres, which is 5.2 billion cubic metres more than in 2017. However, almost one third of the population in the republic have to warm up their houses with coal and firewood. According to expert estimates, Uzbekistan has nearly one third of all mineral reserves in Central Asia, and is among the top twenty countries by gas production. 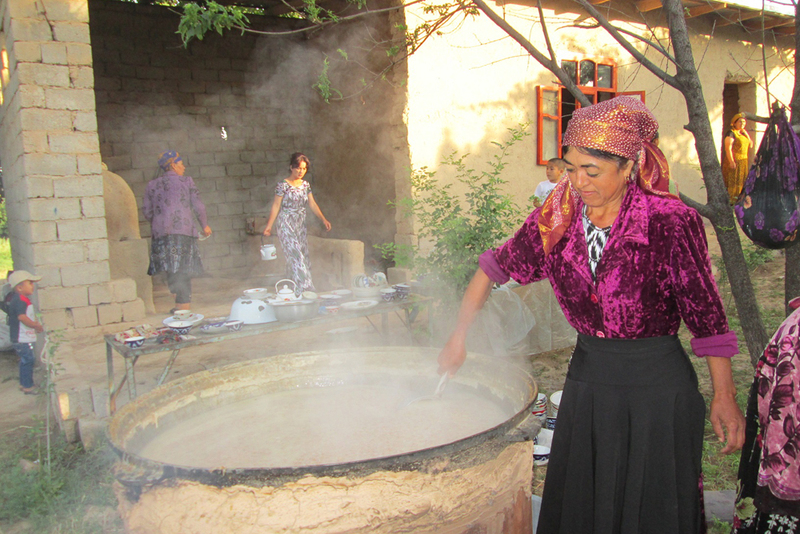 However, when winter comes, some regions of Uzbekistan raise the issue of supply of natural and liquefied gas to people. Almost one third of the population has to warm up their houses in winter with coal and firewood. You don’t have to go to a remote village to see it. Problems with gas supply begin just a few kilometres away from regional centres. — The pipes have been laid down, yet they are useless, many of them have gotten rusted. In 2009, when we just moved with my wife here, there was gas supply here. However, it was reported soon that the system doesn’t have enough pressure and the gas supply company cannot supply gas to our mahalla. We have installed an air conditioner, but the voltage is insufficient. Every winter we need to buy coal, which costs 273 thousand sums (32.72$) per tonne plus one hundred thousand sums (11.98$) for delivery. But it requires firewood, which is a problem, to fire up coal. One cart [of firewood] costs 700-800 thousand sums (84-96 dollars), but you can hardly buy it. Just like other residents of the mahalla, we cut down fruit trees. 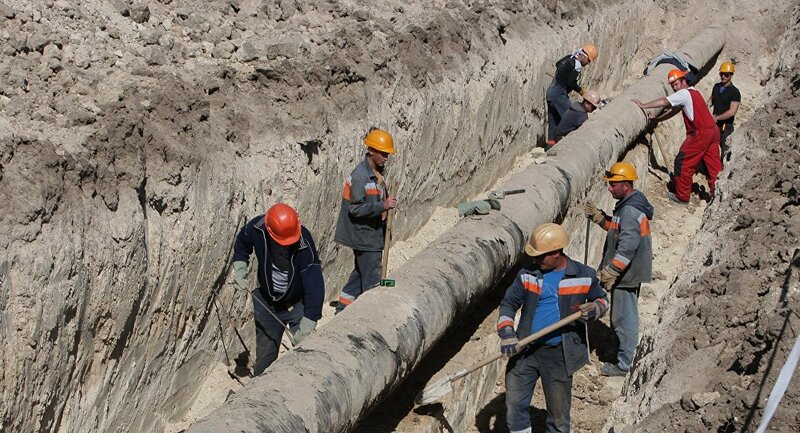 Since 2001, the gas delivery was suspended to mahallas Markaziy Surhon, Kunchikish, Porlok Yulduzi of Dzharkurgan district of Surkhandarya region, where over a thousand of families live. The problem can be solved mainly by supply of liquefied gas cylinders. But in winter time, as local residents say, they face shortages in supply. Cylinders can be charged no more than once in two months. However, they become empty in two weeks. People have to cut down expenses and cook meals on an open fire. Moreover, one gas cylinder charge used to cost around 7 thousand sums (0.74 dollar), and now it costs almost 17 thousand (2.05 dollars). There are interruptions in coal supplies. Solid fuel has not been supplied to the mahallas since winter. The request has been filed, but no answer has followed. 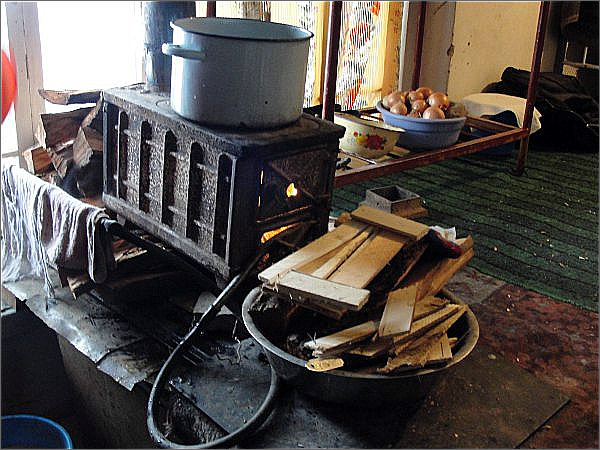 The villagers heat their houses with firewood, biological raw materials. In the centre of Angor district, people have to buy gas cylinders and heat their houses with electricity, which is uneconomical. Low pressure of the natural gas is a problem they have had for a few years. According to the residents of Angor, gas pressure increases for one hour only in the morning and evening. This pressure is only just enough to cook meals. On many forums and in social media, users think the government has increased the export deliveries at the expense of local consumers. Uzbekneftegaz claims that export is not a priority, and when the gas is not enough for the domestic needs of the country, they shut off the gas pipeline that transports fuel abroad. At the briefing on November 29 last year, deputy chairman of the board of the company, Odil Temirov, said only15-17 per cent of total volume of produced gas go for export. However, the OPEC data differ from the information of Uzbekneftegaz. By results of 2017, Uzbekistan exported about 18 per cent of produced gas to other countries, in 2016 – about 20 per cent. The lowest volume of export was recorded in 2014-15 – about 13.5 per cent. And the highest one was in 2008 – almost 28 per cent. Until 2020, Uzbekistan is planning to implement 38 projects and increase gas production by 53.5 billion cubic metres. However, the production of hydrocarbons in Uzbekistan has significantly declined in the last ten years due to the depletion and processing losses. It also explains the interruptions in gas supply to the population. According to specialists, the deterioration of main pipelines and gas distribution networks, laid down back in the 60-70s, now results in significant losses. The system cannot handle the load due to the increase in the capacity and the spread of settlements. From 2009 to 2016, almost 70 thousand of standard-type residential houses were built in the villages of Uzbekistan, and over 15 thousand in 2017. The cities grow, too. In 2017, more than 190 high-rise buildings were commissioned, and by 2020 1,236 flat complexes are going to be built. Demographic indicators are growing steadily. According to Goskomstat [office for national statistics], in the first six months of 2018 the number of people increased by 243.4 people, and equalled 32.9 million people. On November 20, Shavkat Mirziyoyev, at one of the meetings, noted that a project worth 1.6 billion dollars was going to be implemented to modernise the main gas pipeline network and to control gas flows (SCADA). Its implementation requires direct investments of largest companies of Europe, Japan, United States, United Arab Emirates. The deadline is 2021. Also, the country has started to gradually replace worn-out pipelines and build new main pipelines, which will increase their capacity. The so-called low-pressure networks that supply gas to domestic consumers will also be repaired and reconstructed. However, according to specialists of Uztransgaz, it’s unprofitable to install a costly gas pipeline in a remote village with only fifty residents. Therefore, they count on the introduction of energy-saving and energy-efficient technologies and supplies of liquefied gas cylinders. “According to our estimates, the number of consumers using liquefied gas will increase by 20 per cent in the next ten years. However, we are planning to double the supplies. This is the task set by the government. It will surely affect the volumes of supplies to NGV refill stations. Supplies to NGV refill stations will be reduced due to the increase in the liquefied gas supplies to the population,” according to Uzbekneftegaz. The issue of tariff escalation is relevant to the people. One cubic metre of natural gas supplied to the consumers with installed residential gas metres costs now 320 sums (0.03 dollar), and from June 1, 2019 it will be as high as 350 sums (0.042 dollar). If a residential gas metre is not installed, one cubic metre of gas will cost 553 sums (0.067 dollar) with subsequent increase in June 2019 up to 605 sums (0.073 dollar). As to the liquefied gas cylinders, one kilogramme costs 950 sums (0.11 dollar) since November 16, 2018, and will cost 1,200 sums (0.14 dollar) from this June. However, despite the rise in prices, Uzbekneftegaz said that they don’t even cover their costs. The cost is 610-615 thousand sums (73.38 dollars) per one thousand cubic metres, while the ultimate sale price is twice as low. It means that the rates will gradually increase. Rakhim based in Gujbogtepa mahalla is ready to pay more only to have gas in pipelines on a regular basis. Once cold weather comes, his main concern is to find quality coal and firewood, which cost more than gas. — My acquaintances in the regional centre pay for gas nearly two hundred thousand sums (about 24 dollars) per month in autumn-winter period. They have a big house, where two families live. Six rooms are heated with gas-fired furnaces. There is a steam bath and two gas stoves in the kitchen and on the summer porch. Sometimes they complain about the boost in prices. I wish I had their problems. Some suffer from shortages, others use their resources irrationally. The government suggests saving by revising the tariffs and introducing gas and electricity consumption rates, as a solution. From January 1, this approach was introduced in Yunusabad district of Tashkent. According to specialists, consumers spend about 200 cubic metres of gas every month, so the basic consumption rate per one consumer is set at 250 cubic metres per month. For private houses and flats heated individually, the rate is 1,000 cubic metres in the heating season. The price of the gas supplied within this limit will be calculated based on the specified tariff, and with the application of 1-2-fold coefficient if above the limits. This trial period will last until July 1. If it’s successful, this system will be launched throughout Uzbekistan. Besides, a trial automated system of natural gas measurement (ASKUG) is being launched in Kibrai district of Tashkent region. Two hundred gas metres have been installed in the pilot mahalla, which allow monitoring gas consumption in online mode. By results of the project implementation, ASKUG will be launched throughout the country. The works will be completed by 2023.